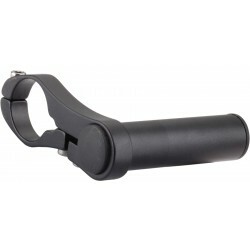 Problem Solvers Handlebar Accessory Mount Especially with road handlebars, accessory lovers often run out of space to mount their widgets. This slim clamp allows for more accessories like computers, lights, mp3 players, etc. to be mounted and easy to access.